I am so pleased to share this event! 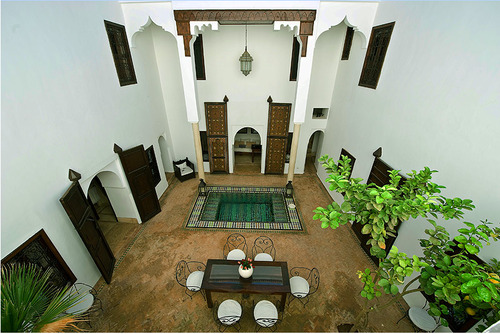 I will be holding a yoga retreat in beautiful Marrakech between 5-11 November later this year. A nice way to escape the winter, deepen our practice and immerse ourselves in a completely different culture. There are lots of things to do in the city whether you are a culture buff or enjoy shopping and testing your bargaining skills over some mint tea… And if is a more relaxing holiday you are after, you will be able to chill out in our beautiful riad, experience the hammams, book a cooking class or simply enjoy soaking up the atmosphere in one of the lovely little cafes or gardens. Prices start at £595 per person based on two people sharing a room exclusive of flights. For more information, below is a link to the brochure for this retreat. Simply copy-paste it in a new tab, et “voilà”! If you have any question, send me a message on my Facebook page Flo Yoga. You can also call Love of Yoga directly on 020 7603 2053 and speak to the helpful Matt Clark. A £200 deposit is required to reserve your space. Have a think… and let yourself go!